Are you a beginner in investing who are seeking information regarding investing in the share market? Then you are at the right place! Today, we are going to discuss the “How to invest in share market in India”. India is a nation of business people wherein every second thousand individual investors earn lakh of rupees by investing in the share market. The share market is a platform for all the business entities to buy and sell the stocks and earn money from share market. Have you heard about the famous saying that says “Never depend on single income make an investment to create a second source! Is it Good to Invest in Share Market? How to Invest in Share Market for Beginners? Why invest in Share market? The share market has become a vital choice for all aggressive investors who want to earn smartly and largely in a period of time, which not be seen as possible to earn via regular income source. The investors who are habitual to Indian stock trade and keep on investing have a piece of good knowledge about the strategies of the market stocks and they know ‘how, when and why’ questions of the investment activities. Stay tuned for this article to learn how to invest in stock markets along with the benefits of investing in the share market. Also Read:- What is Nifty and Sensex? But, what about those who are new investors in this field? There are many people here (who are reading this article) who have decided to take a chance in the market just because they have heard about the investing benefits from the people around them. They actually don’t know how to invest and when to invest. Always remember that “Building wealth is a marathon, not a sprint discipline is the key ingredient! So, this article is especially dedicated to these greenhorns, so that they can come to know how they can invest. They will be also provided some tips which they should follow to remain cautious while doing investments. What is Demat Account & How it Works? If you are thinking to use your Returns on investment option for females, to do your child marriage, or pay your education fees, or pay any debts, then stop thinking about that. Instead, you should pay all your liabilities before making any investment and not after investment. Don’t ever plan to invest the amount more than your savings. Always invest your additional surplus. You should clear your goals first that what do you want from your investments. If you have a plan in your mind to do your child’s marriage or provide higher education to them, or you are planning for your post-retirement income mutual funds, then obviously they will need a proper and a long time-frame to accumulate a large wealth base. The large wealth accumulation demands a certain long-time horizon, so you should invest in that plan which has a long maturity period and provide you with higher returns. If you want to fulfill your daily routine needs like filling your education fees or paying any debt then investing in short-term debt securities can be the best option for you, as the debt securities provide you regular and quick returns on regular basis. If you want an additional income then investment in dividend-paying stocks will be appropriate, else if you want to grow your capital then investing in growing-stocks will be appropriate. You know well what your income is. So, before indulging you in the share market, you should check how much surplus you gain after deducting all your expenses from your regular income. It is a must that your expenses should be regular in nature. If you are left with a moderate surplus, then you can choose a SIP Plan. In that, you can deposit a fixed value of money every month/quarter. You can also deposit any amount of value, big or small, but it should be fixed and regular. If your savings are irregular, means that sometimes you are left with just Rs 500 and sometimes with Rs 5000 then you should invest in Lump sum schemes. They did not abide you from any fixed money investment (Fixed Deposit) and fixed time durations for doing an investment. This is a very sensitive but a crucial decision. It is because the broker’s decision making power is the reason behind all your good earnings and bad-losses. The thinking power and ability to understand the share market of the broker defines his level of knowledge and expertise in the field job. So, before selecting any broker, you should check his performance with the funds on which he is currently working and the returns the people have earned in his past records. You can hire a full-service broker or a discount broker. The full-service brokers provide you with full facilities of investments like the trading activities, the advisory services, and a lot of researches for you. For full-time services, the brokerages of these brokers are also comparatively high. If you do not want to pay as much and you can take decisions on your own, then you can choose the discount brokers. They just provide you with trading facilities and nothing else. It is essential to understand and identify the right time for your investment. You should try to invest when the market price stocks are lower so that you can purchase maximum shares and gain the maximum profits after their value maximizes with the time being. You should also take care of the selling of your existing shares. If you observe that the price value of the shares at your disposal has reached the heights, then you can exit from your shares and can resell them in the market. In this way, you can accumulate profitable wealth. You can execute your trading decisions via offline and online also. You can make the transaction at some online portals to sell or buy the commodities in the market. Or if you choose the offline method then you can simply do this via telephone conversations. You can place your orders on the telephone. Another method is that you can tell your broker to run the trade and later you can ensure yourself for the trading activities he has transacted. Always keep on checking the stock exchange periodically so that you stay updated with the market fluctuations. This is necessary to observe because the market is very dynamic and your investments are subject to market risks. Through this understanding, you can plan your exit and entry plans. If you think that your existing stocks have accomplished your requirements and you no more feel the need to hold them for long, then you can plan to exit them by selling them off in the market at a good price. For this, you have to check that when the stock price has acquired a good price value. Your decision at the wrong time to sell the existing shares at a low price can push you to face a heavy loss. So, be alert. Most of the beginner investors ask this is it safe to invest in share market? If you are a beginner in the field of the share market, then you should never pour all your money at a snapshot in the shares. Most of the investors asked regarding what is the minimum investment in share market? Rather, you should start to invest from a small amount of money, say Rs500 or Rs1000. Repeat this 3 or 4 times. Doing this will help you to understand the market fluctuations and the investment knowledge and finally, it will altogether help you in making the right decisions on large investments. Always keep in mind that- “Investment success accrues not so much to the brilliant as to the brilliant. Blue chips funds are those which have a large capital base and good reputation in the market. These funds ensure you to get returns, doesn’t matter low returns or high returns, but the chances of causing loss are really very-very low here. Examples of Blue chips are HDFC banks (leader in the banking sector), Larsen and turbo (leader in the construction sector), TCS (leader in the software company) etc. Few other examples of bluechip stocks are Reliance Industries, Sun Pharma, and State bank of India etc. You should not do investment repeatedly at one stock. Investing maximum of your money at a single place can cause you a heavy loss in case it unable to perform well in the market. There is a better option in fact like you can diversify your portfolio. You can choose several fund themes and invest in them. This will help you not only in accumulating wealth from various sources but it also lowers the risk of bearing heavy losses. The diversification assures that the loss from one fund can be compensated from the earnings from other fund schemes. It is good to take advice from the experienced peers for doing investment but it will not be fair at all if you blindly follow their advice. 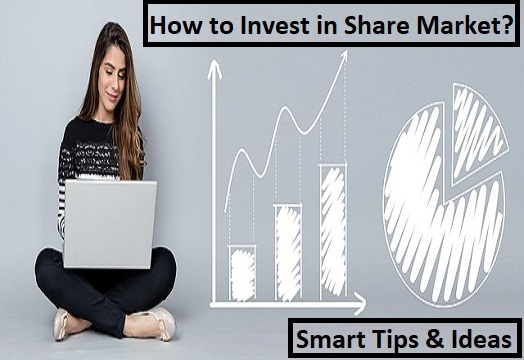 You should grab knowledge from the internet and you can read some basic share market books also to gain a neat and clean knowledge on how to do investments. Typical investors are highly influenced by the action of acquaintances. You should have to avoid the herd mentality if you have to save your hard-earned money. If you are passionate about the investment you must hone your knowledge about trading and investment. Investing at a time in a lump sum and then giving up till it matures, is really not a good idea. Many people don’t make efforts after investing in plans. They believe in seeing the results after the maturity period and then depending on the results they thought of investing in other plans. Instead of this, you should keep on investing in different plans and different securities and also keep on tracking them. If you know the basics of investing and you have taken the experience one time or two times, that will not mean that you know everything about the share market. You should always choose the companies which have a strong capital base and strong objectives with potential growth in the future. To take any useful decision for the share market, it is vital to understand the share market and the company’s details. So, you should be well-versed by these terms. Always make yourself habitual for taking the right decision ant right time. If you want to end up your existing shares happily, then it is advised to you to re-sell them when it has a good value in the market. Do not be greedy at this point by thinking that the price may reach even more higher in the future. It may hurt your expectations also and will be left you with no output. You should work with reliable and reputed intermediaries who not only can suggest you on your investment activities but also help you in getting the research reports and the useful information regarding the share market. Avoid being enticed or attracted by the sector performances. The current sector’s performance may degrade tomorrow and vice versa. So, you have to maintain patience over here. The fact that investing in low-priced stocks does not generate the profits always. The reason for setting a low price to stocks is that they are not performing well in the share market and it is prudent to avoid investing in them. Being new to investing it is quite obvious to think like that. Here, I have listed the reasons why you should go for investing in stocks. The investors enjoy higher liquidity because most of the companies trade with the BSE or the NSE or the both. The investor can invest in any of the stocks like he can invest his money in shares, bonds, mutual funds, and derivatives. Later, he can enjoy the benefits of diversification in investment. Investment in stocks provides the opportunity to double their currency within a short span of time. With the allotment of shares, the person is provided ownership of the company and therefore he is also provided the right to vote on the company’s issues. The interests of the investors in the share market are well protected by the SEBI as the SEBI regulates the working of share market and take the accountability from the companies. New technologies like the internet online services have made the process much short and easier for every being. The Demat accounts, the brokers’ online services, the ECS services, all have made the trading activities so easier and convenient. You should take careful steps while investing. Read the above steps and the cautions to be exercised. If you feel a single doubt or you have any query with us then paste it into the comment box. If you want to motivate our writings, then please like and subscribe us. If you have appreciated it please share it with others. I am very delighted to have shared this knowledge on investing through the share market. Thank you & wish you streak of luck.